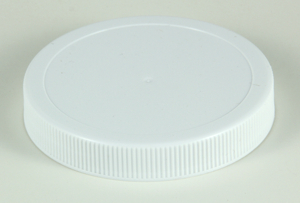 This is the replacement storage lid for our Commercial Syrup Pump Bottles. There is no hole and it is used to store the contents when the pump is removed. It fits either the square bottle (item 89square) or the round bottle (item 89round). Size is 89 mm or about 3 ½” diameter and ½” high.